Odisha civil service preliminary examination 2015 will held on 8th November 2015. 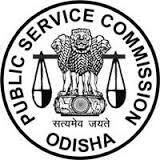 Today OPSC is officially declared about the exam details and exam time table preliminary examination of OCS. Also the main examination and preliminary examination will held at five zonal offices of all over Odisha that are Sambalpur, Berhampur, Balasore, Cuttack and Bhubaneswar. Mostly this OCS test exam was held in first written examination, main exam, personality test and interview. Also those candidates are qualify the preliminary examination these candidates are allowed to attending the main examination. Those candidates are successfully qualify the main exam then these candidates are allowed to attending the personality test and interview round. Also in OPSC official site a notification is published about the exam date official declaration. Also Odisha civil service exam is the best way to get a best jobs in Odisha. Is you are searching any other details about Odisha civil service exam then just follow or read the website always to know the details information.